We drove through Mount Rainier National Park twice, 12 days apart. Both times it was raining and we could not see even the base of Mount Rainier! 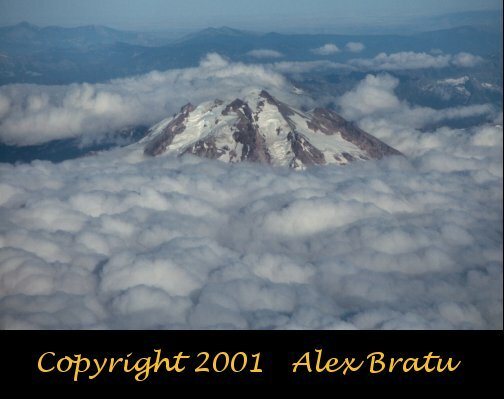 The only shot I could get of the mountain was this one through the window of United flight #25.